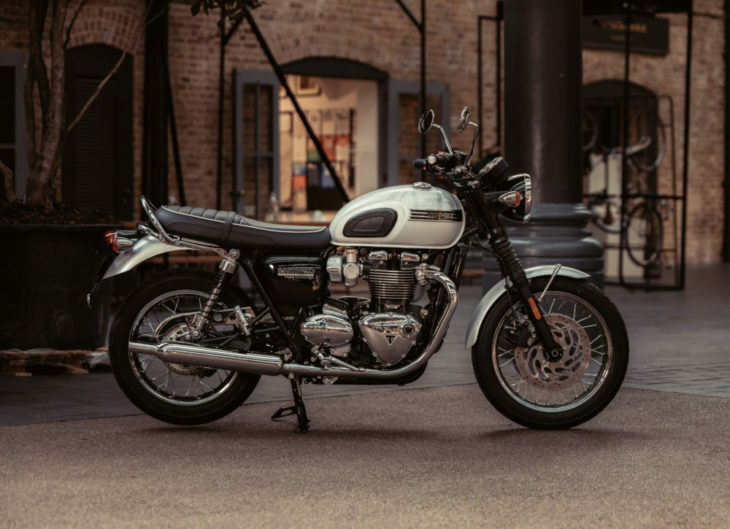 2019 Triumph Bonneville T120 Ace and Diamond Limited Editions First Look—Based on the popular, classically-styled but revamped Bonneville T120, Triumph has just announced two new limited-edition models for 2019 – the Ace & Diamond. Two flavors of limited edition Bonnie for you, sir (insert British accent here)? 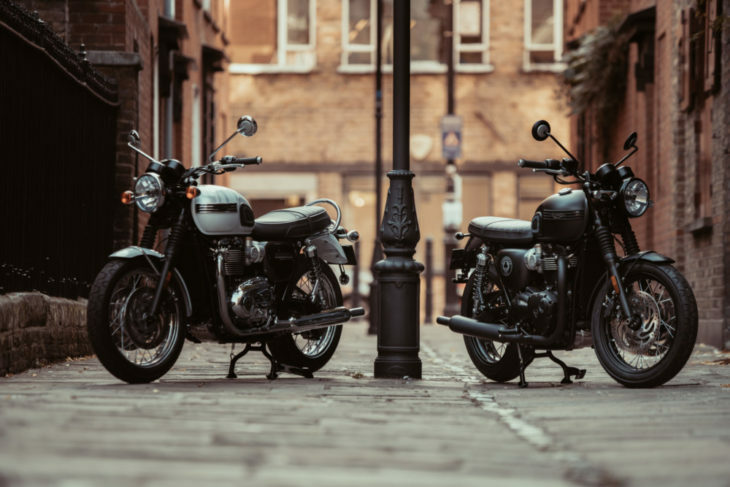 You may choose either the Diamond (left) or the Ace. 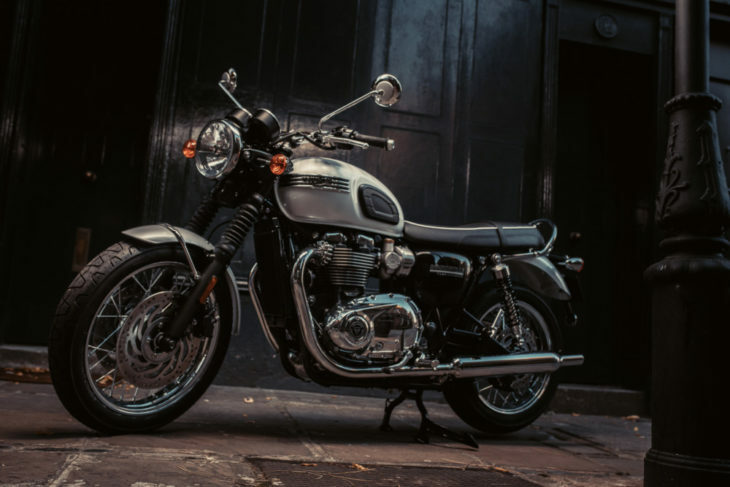 Powered by the 1200cc eight-valve high-torque parallel-Twin engine, and cranking out a claimed 77.4 ft-lbs of torque at 3,100 rpm, the Bonneville T120 is a modern interpretation of the original 1959 model. Completing its modern design and componentry is of course, ABS, a Ride by Wire throttle, traction control, two ride modes (Road and Rain), a torque assist clutch, full LED lighting, KYB suspension, Nissin brakes, a USB charging port, and heated grips. 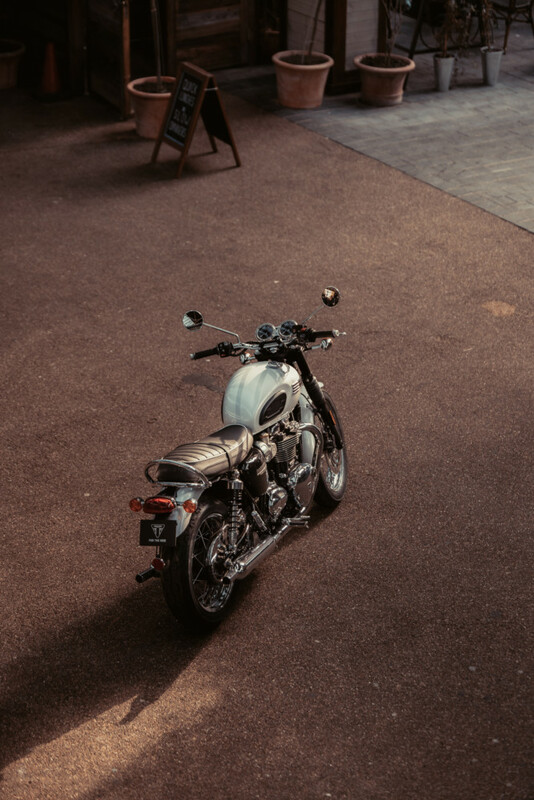 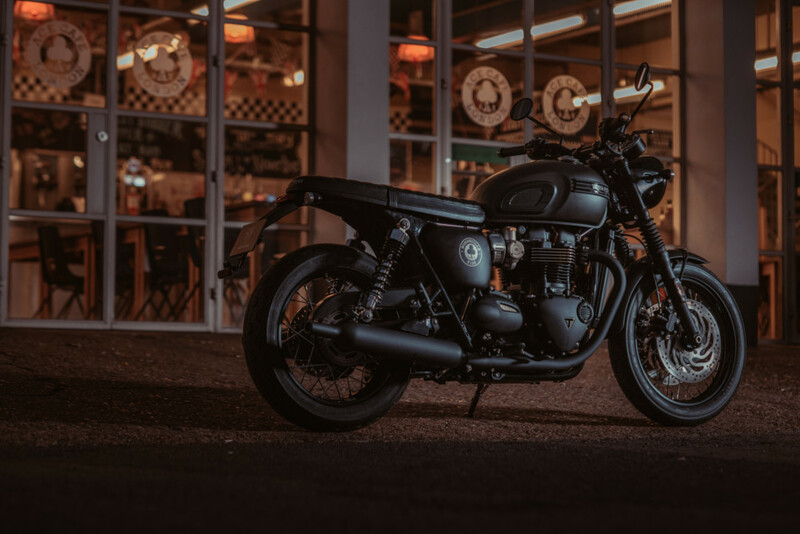 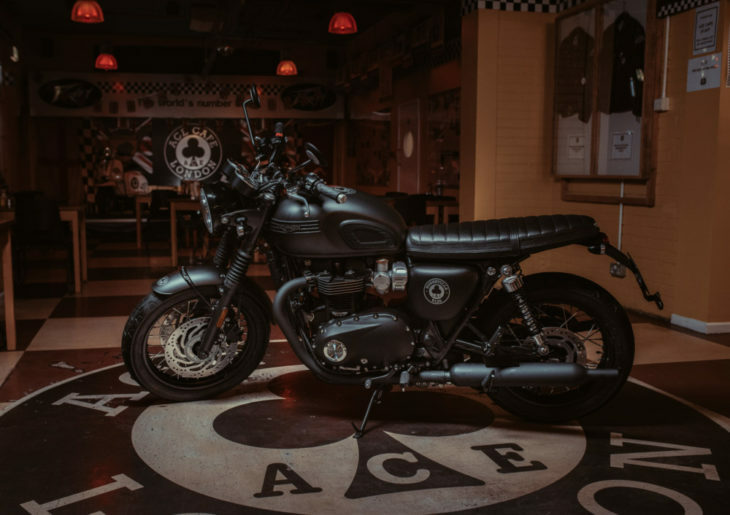 The 2019 Bonneville T120 Ace Edition pays homage to the first generation of café racers and London’s legendary Ace Café – the spiritual home of classic British motorcycling. The Ace Edition features blacked-out intake covers, engine badges, bench seat, and four-bar Triumph tank badges. 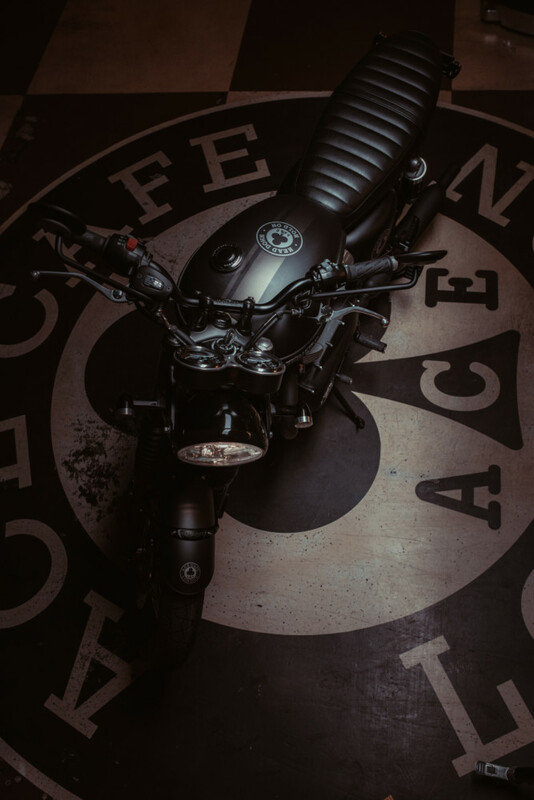 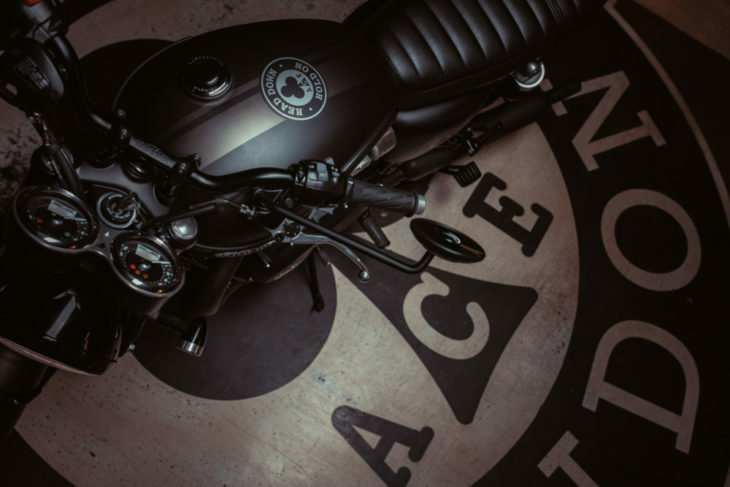 Additionally, this ‘traffic light racer’ gets a matte Storm Grey paint job on its fuel tank with a contrasting racing stripe and Ace Café “Head down – Hold on” graphic. 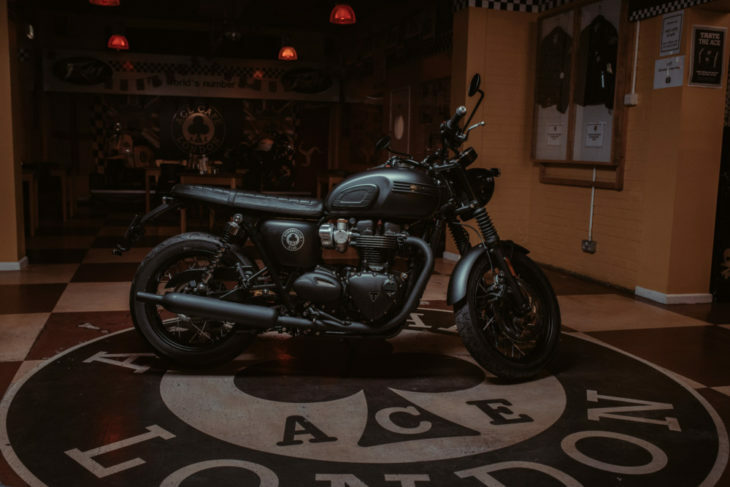 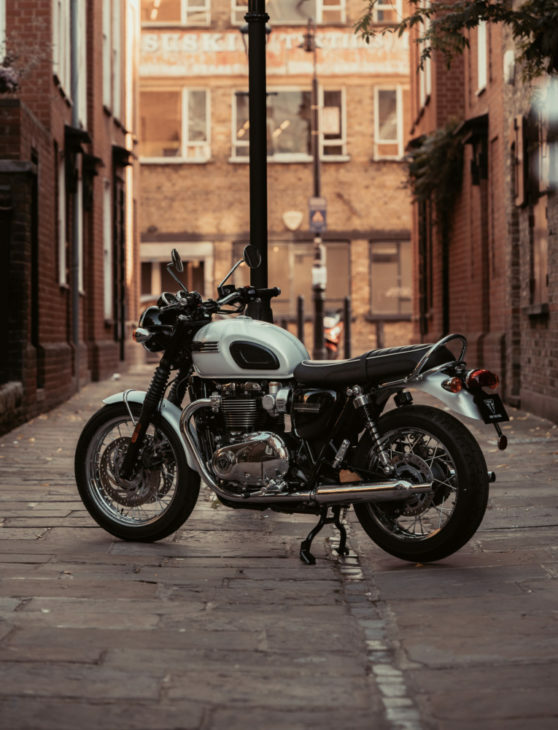 Only 1,400 limited-edition Ace models will ever be made, and each will come with a numbered certificate signed by Nick Bloor, Triumph’s CEO, and modern Ace Café founder, Mark Wilsmore. The 2019 Bonneville T120 Diamond Edition, on the other hand, celebrates the 60th anniversary of the original 1959 Bonneville. Instead of black, the Diamond Edition features chrome engine covers, badges, chain guard, and four-bar Triumph tank emblems. 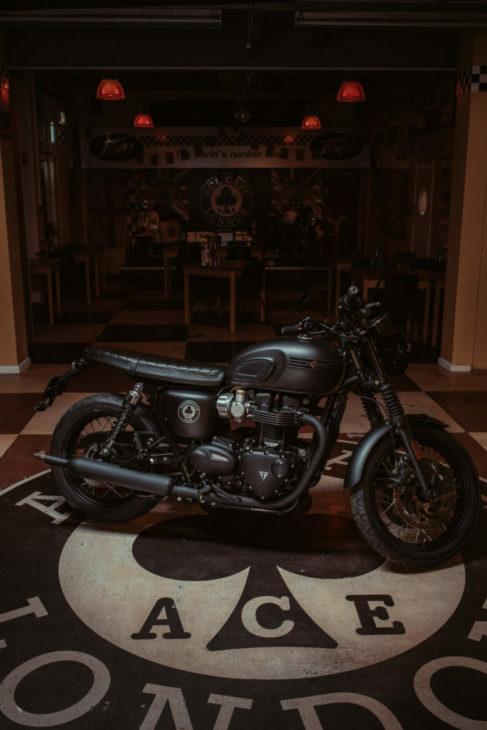 Additionally, the tank gets a Snowdonia White and Aluminum Silver Union Jack paint scheme, and a unique ‘Diamond’ side panel badge. Even fewer Diamond Edition models will ever be built – 900 to be exact – and each one will also come with a numbered certificate of ownership, again signed by Triumph’s CEO, Nick Bloor.